People are the beating heart of what we do, thats why we promote a quality working culture that supports growth and commitment. You’ll find encouraging and like-minded people at Medwest, people that will help you grow your learning, your experiences and your career. We pay above the award, pay you for travel time and even offer you a fuel allowance. We can also offer generous relocation packages for those looking for a change of scenery. From helping graduates establish themselves in the industry to giving experienced clinicians the opportunities to take their career to the next level, we give all of our employees a leg up on the competitoin. And to boot we offer up to $2000 for external CPD (with plenty of internal CPD), so you can keep your registration and stay up to date in your field. We pride ourselves on offering services to those who need it most, many whom of which are located throughout regional Victoria. However we haven't been so successful in these areas by pure pot luck. 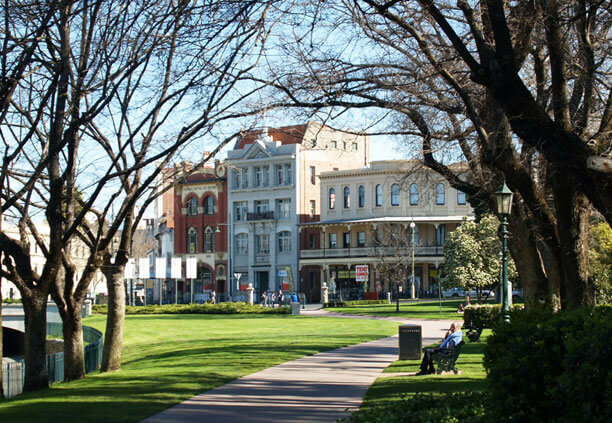 Imagine, no traffic jams, a lower cost of living, friendly faces and quality coffee, this is what has made our staff love and thrive whilst working in regional Victoria. We know that as a hungry therapist, you want a supportive working environment, great culture and recognition for your hard work. We love our staff and that's why those who give us their best, get the best. We are currently seeking enthusiastic and flexible Physiotherapists to fill new aged care vacancies around Victoria including: Euroa, Benalla, Maryborough, Casterton. Travel is a requirement of working at our aged care facilities so be prepared to hit the road, but don't worry, we pay you for your travel time and even offer great relocation opportunities (how does free rent sound?) . So what are you waiting for? Join Australia's best Physio's and make a real difference to those who need it most.